“It’s a good thing for kids to have daddies. They protect them.” Those words were spoken by my 3-year-old grandson, Blake, to his father. In a world increasingly losing its mind about the importance of fathers, leave it to a toddler to cut to the chase. He told a story of a greeting card company that offered free Mother’s Day cards to violent criminals incarcerated in a maximum-security prison in Florida. Thousands of the men accepted the offer and sent cards to their mothers. The greeting card company, buoyed by their success, made the same offer for Father’s Day. Glass said, “Not one inmate accepted the offer. Not one man sent his father a card for Father’s Day.” Are there negative consequences in a home where dad is not involved and engaged emotionally with his children? Oh, yes. 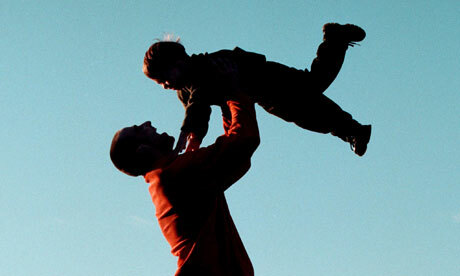 How important are dads? Let me ask you men something that I heard Todd Wilson say several years ago. “If you dropped dead this afternoon, God forbid, how long would it take for the place where you work to replace you? A day? A week? Maybe even up to a month if you have a really specialized job? But how long would it take to replace you in the home as a dad? Forever. You are irreplaceable!” Wilson went on to say, “Actually, someone would step in and take your place as a dad to your children: God. Have you ever thought about that, dad? You are Plan A in your house. God is your backup. That’s how important your job is.” Happy Father’s Day, and thank you to all you daddies who are protecting your children.